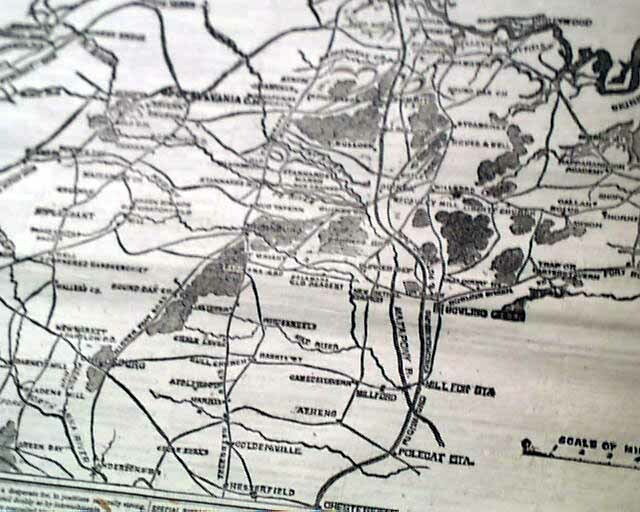 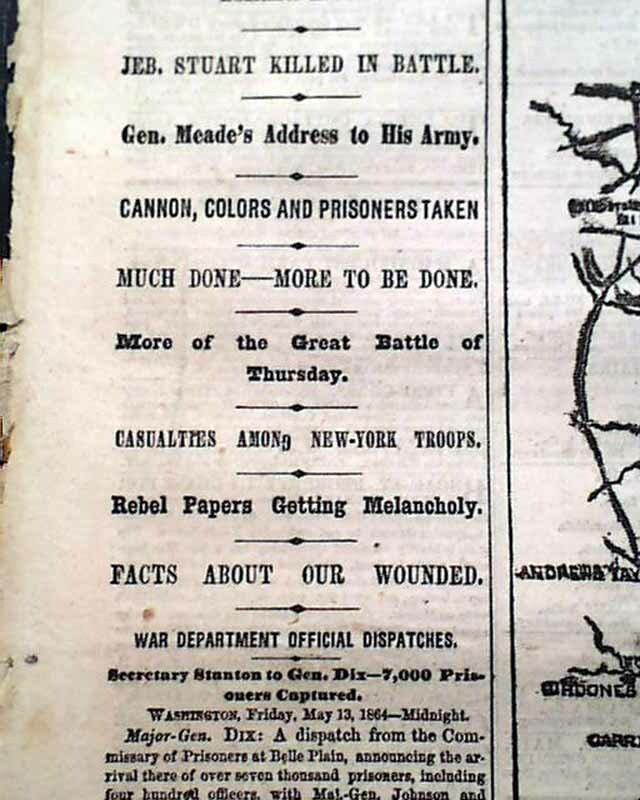 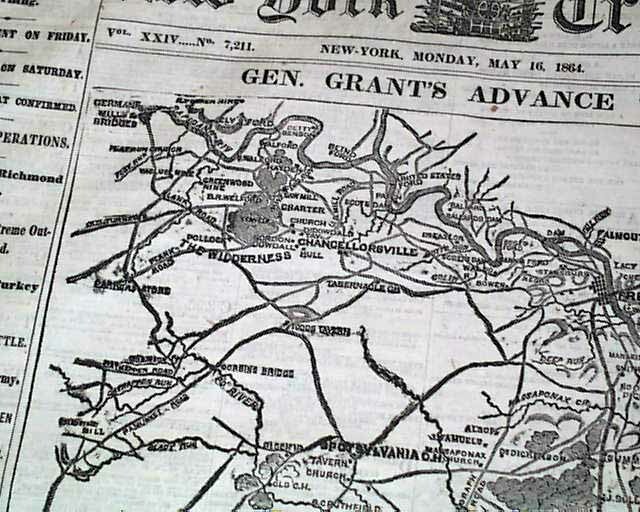 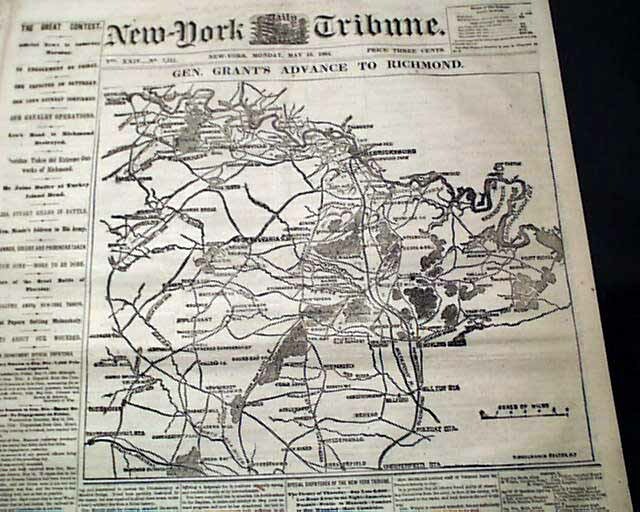 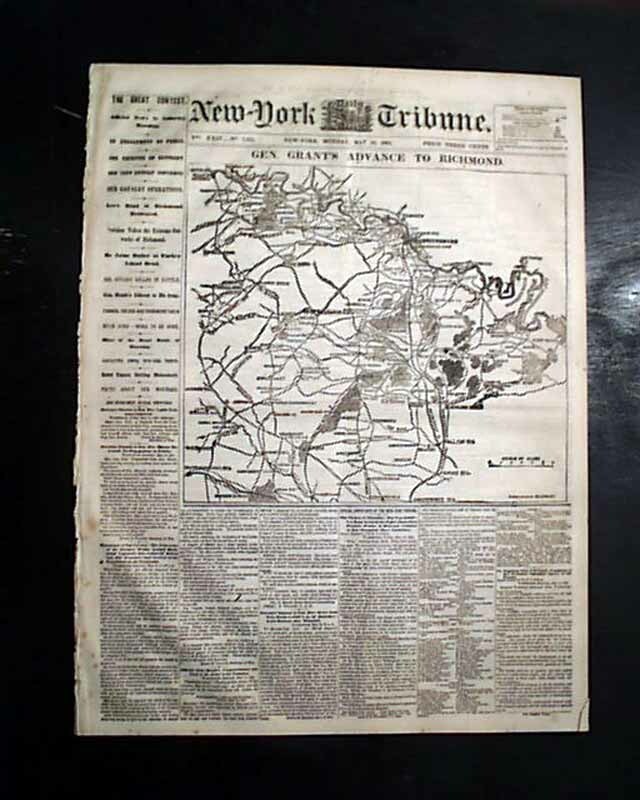 Over half of the front page is taken up with a large & detailed Civil War map headed: "GEN. GRANT'S ADVANCE TO RICHMOND." 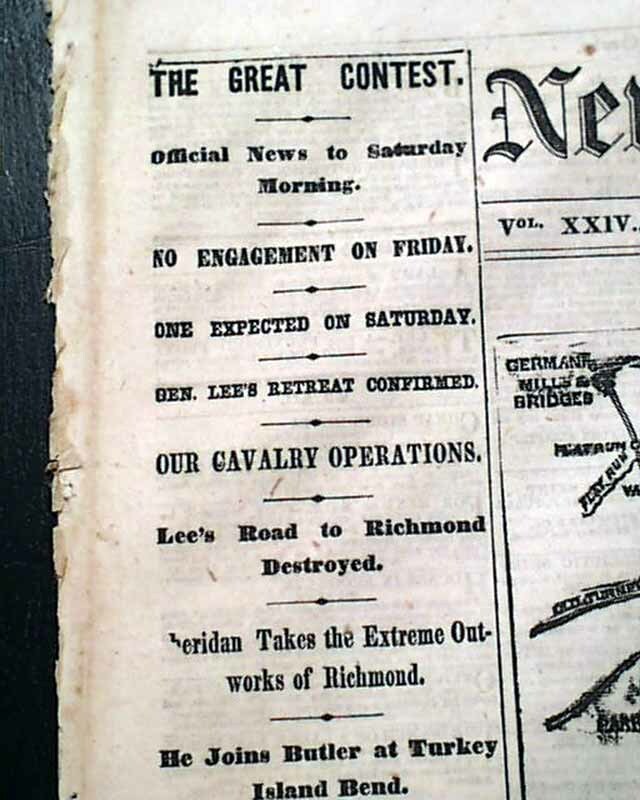 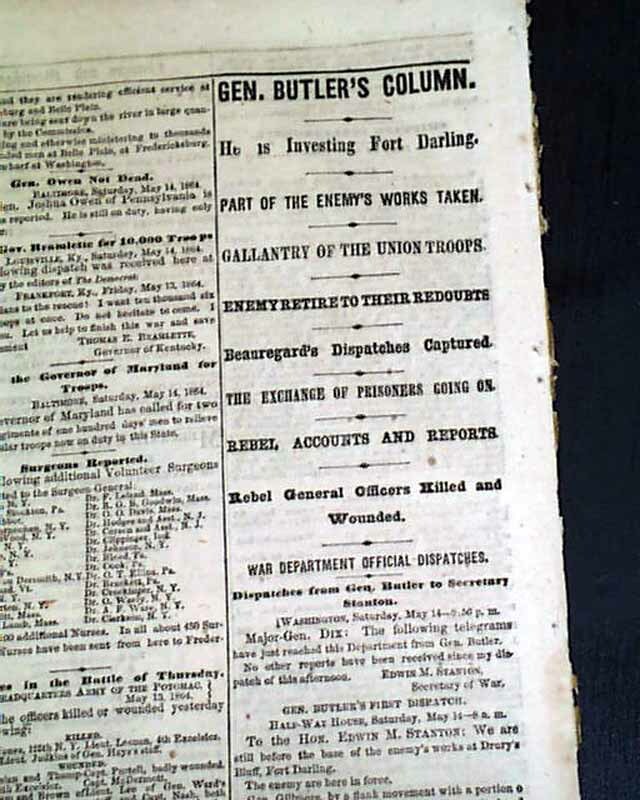 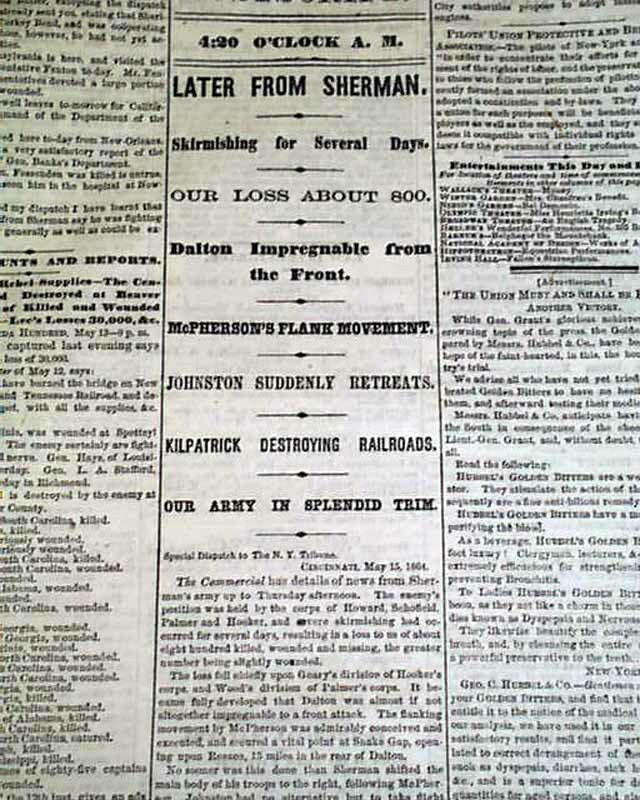 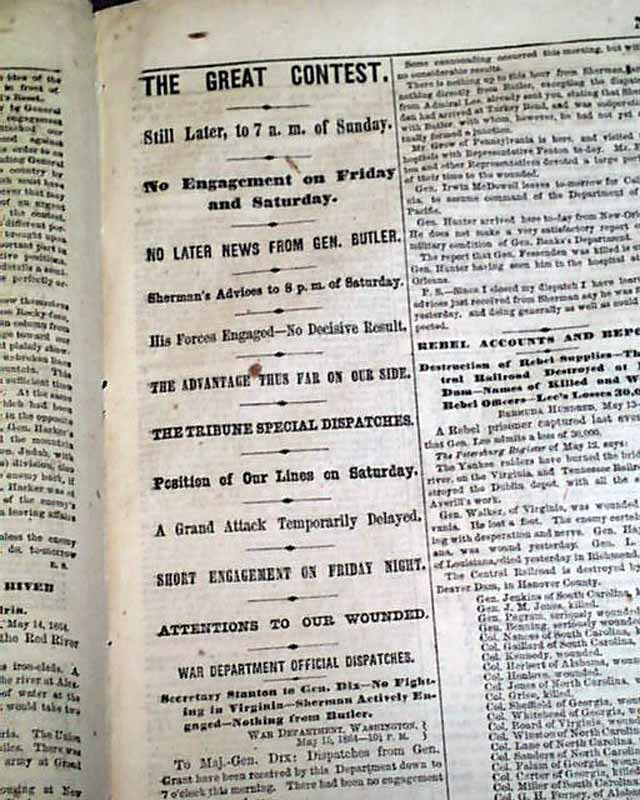 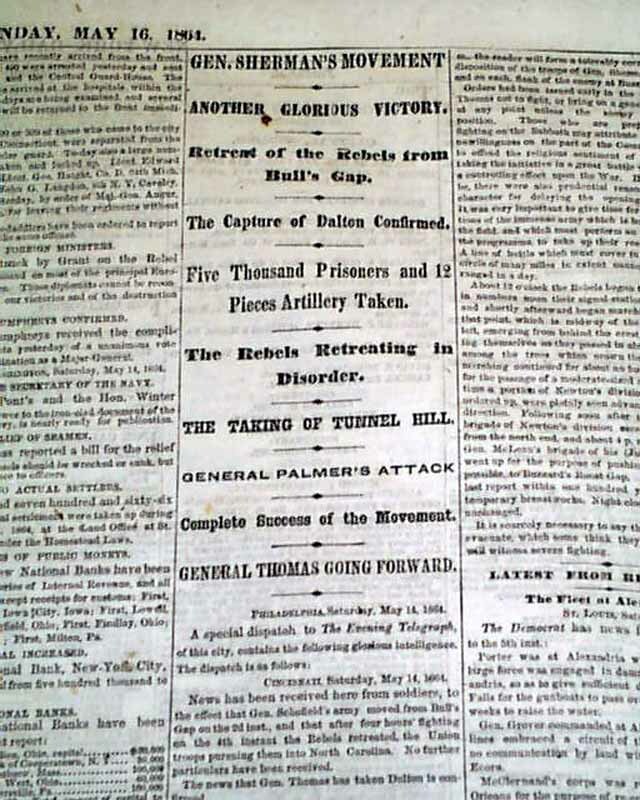 Among the first column heads on the war are: "THE GREAT CONTEST" "Gen. Lee's Retreat Confirmed" "Our Cavalry Operations" "Lee's Road to Richmond Destroyed" "Sheridan Takes the Extreme Outworks of Richmond" "Jeb. 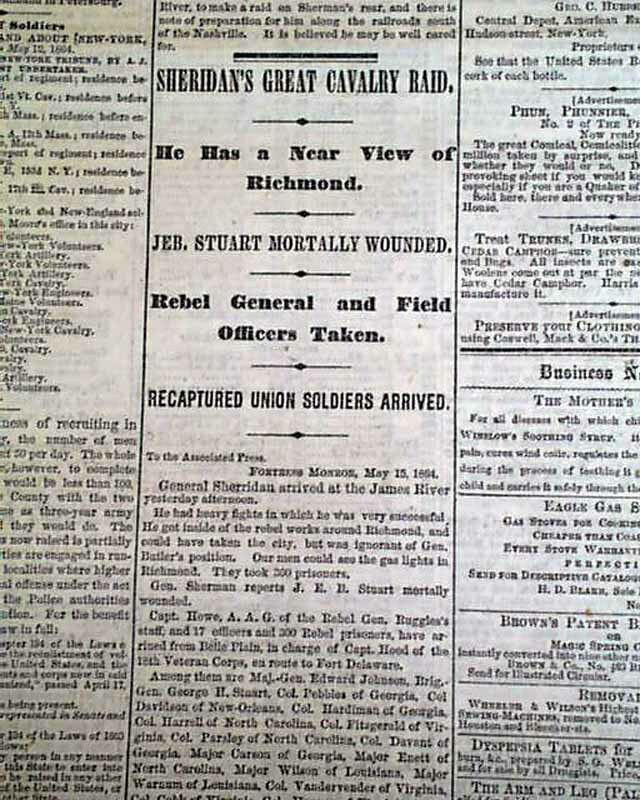 Stuart Killed in Battle" "Gen. Meade's Address to His Army" and much more on the Battle of Spotsylvania. 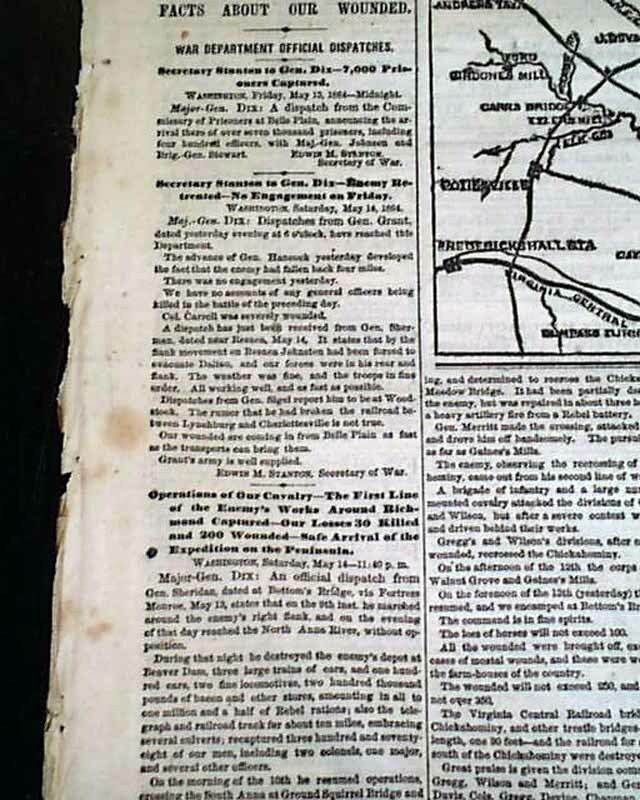 Good war coverage on inside pages as well.